Dad-and-daughter’s favorite adventures in the “Swiss Alps” of Oregon. My young daughter Ainsley and I have a summer tradition: We fill the tank with gas, stuff all our outdoor toys in the trunk, charge up her iPad and point the car east. For years I’ve been trying to wean her off the digital security blanket. And nothing works better than Eastern Oregon, with its gloriously spotty cell service. Sure, I might accidentally leave her power cord at home. But it doesn’t matter, because right around La Grande, I’ll always hear the same thing: “Dad, my iPad died — whoa, look at that!” Ainsley will shout, staring out the car window. It’s music to my ears. From that point on, I — and the awe-inspiring landscapes — have her undivided attention. No pinging texts from friends. No tech-zombie glaze. Just us and all the memories we’ll create. Here are a few of our favorite summertime experiences in this remarkable corner of the Pacific Northwest. Even after five years of road-tripping here, it still feels as if we’ve barely scratched the surface. We left Portland at lunchtime one sunny, 80-degree day. By dinner we arrived at a campsite rivaling anything I’d backpacked into during my pre-kid days. The pristine lake reflected craggy rock faces rising up from water’s edge. Trout splashed and gulped up the evening’s hatch of flies. Welcome to Anthony Lakes Campground. Current population: 12, counting the two of us. We rushed to pitch the tent so we could make a few casts before dusk. Then after a warm fire, we settled in for the night, the air growing ever brisker. I awoke very early to the moon shining through our tent and a big surprise outside — summer snow, which, thankfully, melted by breakfast. Note to self: Next time, bring a wool blanket. 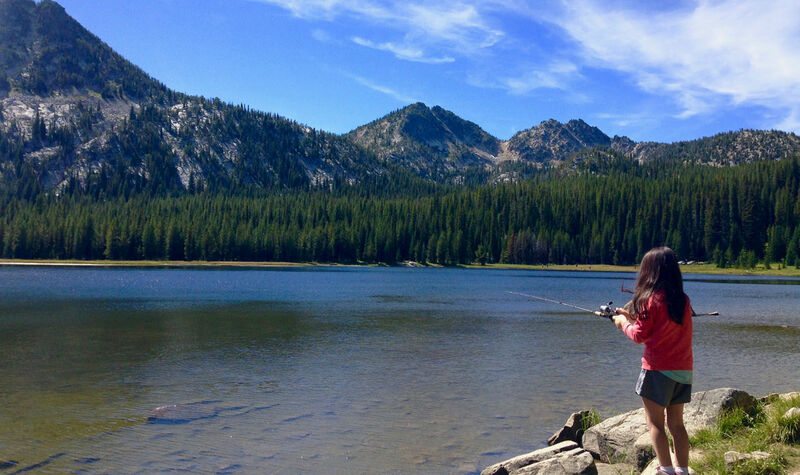 There’s an art to skipping a stone, and I was intent on teaching it to my daughter at Wallowa Lake State Park. But that view kept getting in the way. It’s hard to focus on the subtle ripples your stone leaves in the reflection of these towering mountains, which have been dubbed the Swiss Alps of Oregon: Eagle Cap, Sacajawea Peak, there’s even a Matterhorn. After Ainsley mastered a four-skip, we headed back to camp for s’mores. Thousands of years ago, glaciers left a lasting impression on the landscape. And that night, the mountains and starry skies left a lasting impression on us. 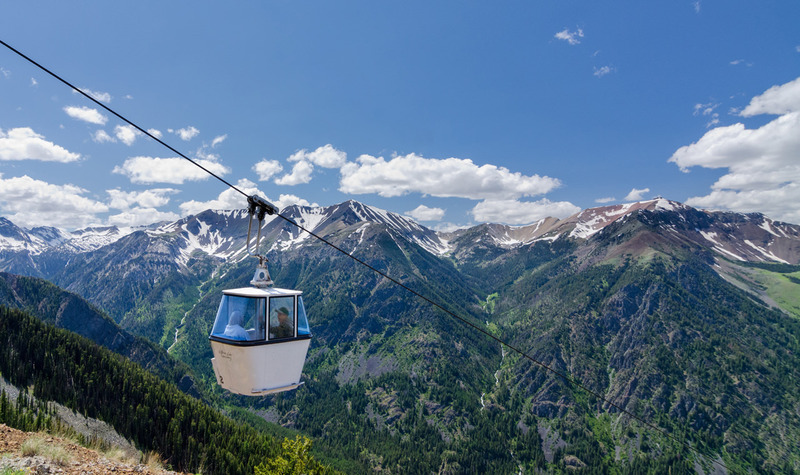 After years of lung-bursting climbs up steep switchbacks, I learned of a less taxing way to reach the high-alpine expanse of the Wallowas: a gondola! 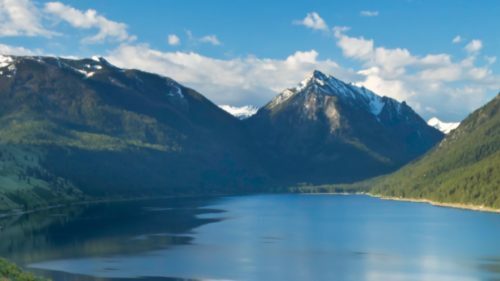 We hopped aboard the Wallowa Lake Tramway, our noses pressed to the window, looking at the ant-like hikers below as we steadily rose 3,700 feet to the summit of Mt. Howard. When the doors opened at the top, cool crisp air drifted in, and we giddily burst out like mountain goats on a ridge ready to take on all the trails with their fantastic views. If you ever want to give your kid a little taste of bagging peaks and hiking ridges, this is an easy way to do it. Just be forewarned that the last tram down is at 5 p.m. After that you’re on your own — without a Sherpa in sight. As a kid, I dreamed of being a railroad engineer, guiding my train past rolling hillsides to the slow click-clack of the rails. Meanwhile, Ainsley likes to pedal really fast on her bike. 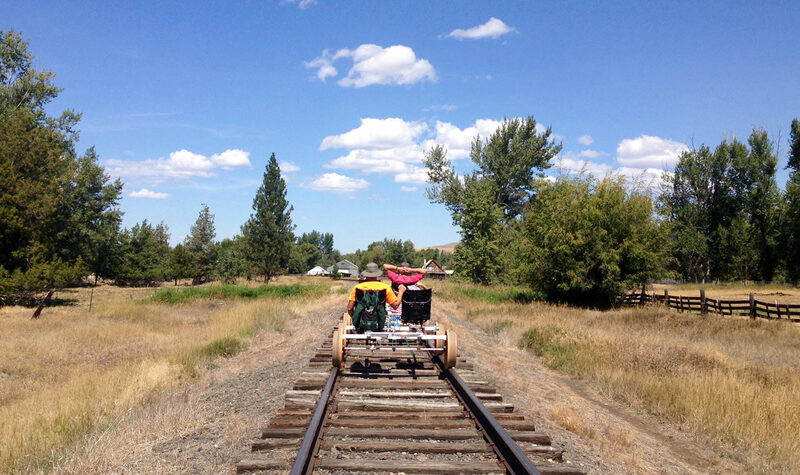 We found a way to combine both our passions in a truly Wallowas way: Joseph Branch Railriders — pedal-powered cars with adjustable seats that glide on rail tracks. We rode along the same tracks that steam-powered locomotives once traveled. But that day our legs were the engine propelling us forward as fast as we dared. 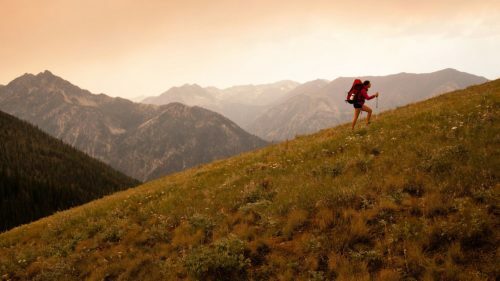 It felt like Mach 1 to me — the natural meadows, wildflowers and rugged peaks a blur as we careened downhill into Enterprise. Coming back uphill at a more scenic pace, we drank in the view — and ounces upon ounces of water, too. We missed an important sign on Forest Service Road 39: Watch for livestock. The area surrounding the Hells Canyon National Recreation Area is an open grazing area for cattle, which, after encountering a herd in the middle of the road, means you check your speed. Not that you’d want to go fast here anyway. With countless winding turns, the road is a pleasure driver’s dream, complete with a real, pine-scented air freshener. Several white-knuckle miles later, we arrived at the overlook and gaped at the deepest, narrowest gorge in the entire United States. Ages ago the mighty Snake River cut through these sheer cliff walls, carving out a dramatic canyon in its wake. On this day, it seemed to cut right through to Ainsley, who sat there quietly in awe, her jaw dropping like the canyon floor below. One can exist on trail mix and dehydrated meals for only so long. Sooner or later a burger calls, and we answered at the Terminal Gravity Brewpub in Enterprise. The place was just what we needed. 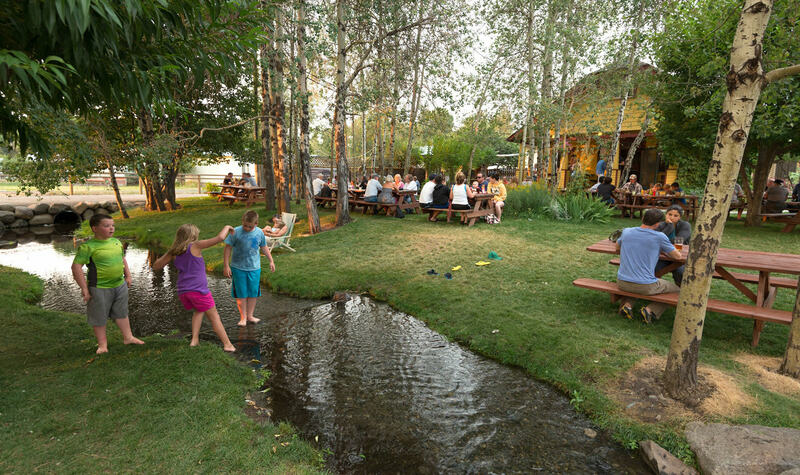 With our name on the list for a table — and a tasty IPA in hand for me — we played horseshoes and soaked in the relaxed vibe. It was like a backyard barbecue with an extended outdoor family. We sat at a table with some climbers preparing to summit the Matterhorn the next day. Overhearing them talking, Ainsley excitedly said, “I was just on top of Mt. Howard!” When they asked how the climb was, she winked at me. “Tough,” she replied. 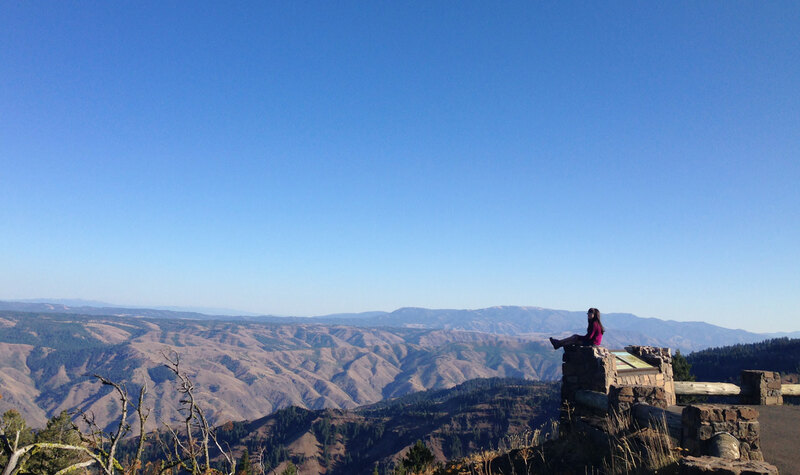 And together we all shared some of our greatest hits from this spectacular corner of Oregon. Many attractions in Northeastern Oregon operate on a seasonal basis, so call ahead to ensure they’re open and to secure reservations. 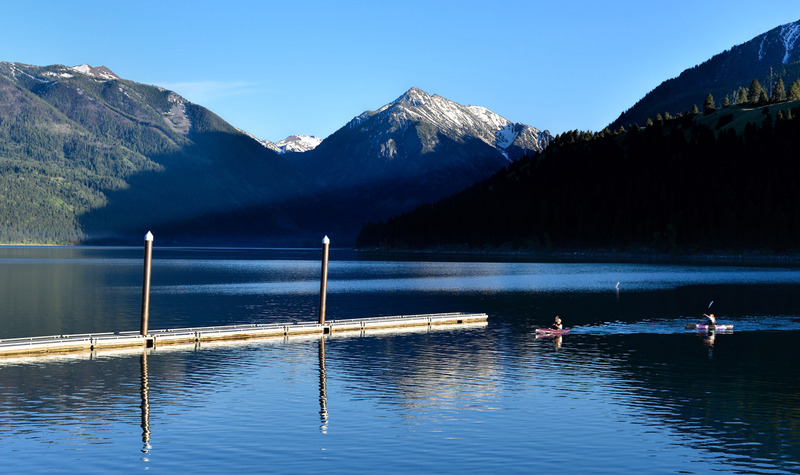 Campsites at Wallowa Lake State Park fill up quickly in the summer, so make reservations in advance. While reservations aren’t required, spaces do fill up quickly for the Joseph Branch Railriders, so it’s best to book early. Wherever you go, check the conditions on your route at TripCheck.com before heading out. 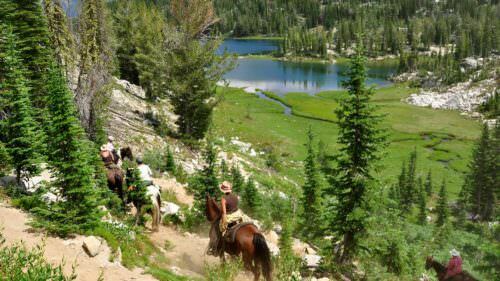 And be aware that weather varies with the topography of the landscapes; at an elevation of 7,000 feet, Anthony Lake Campground sees temperatures drop considerably after nightfall — even in the hottest summers — so pack plenty of warm all-weather gear. Guy Ragnetti is a writer and creative director living in Portland, but his true home is in Oregon’s outdoors. 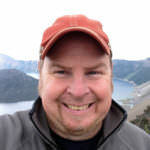 When not working on stories for clients in the outdoor-recreation industry, you’ll find him backcountry skiing, surfing, fly-fishing and sailing. He shares these adventures with his wife, his daughter and their overly happy chocolate Lab.